This conversation ran the week after my show with Ray Donaldson. 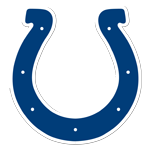 It seemed appropriate, because they’re the two best centers the Colts have had since moving to Indianapolis. Maybe ever. Saturday has a great story, from going undrafted to Pro Bowler and captain of a Super Bowl champion. 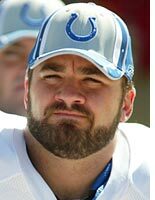 His relationship and chemistry with Peyton Manning was a major factor in the success of those Colts teams, and his leadership on the offensive line was essential. He wasn’t the first guest on my show to tell me he had told a lie to advance his career, and I don’t blame him. When someone is offering the opportunity of a lifetime, you’ll claim anything to get that chance. You’ll either back it up or not, but you have to have the chance first. Like Donaldson, I visited Saturday in his home on Indy’s north side — just farther north, in Saturday’s case. Not everybody would open their door to someone he had never met, but it was comfortable. We sat at a table in his dining room, interrupted only when he needed to get up to let his dog out. Gary Brackett did much the same thing, letting me in to record a show with him. Is it any coincidence these two have gone on to successful careers beyond football? They’re assertive and trusting people, and that usually pays off. I later reran the show after he retired, with an updated segment over the telephone. This podcast, however, is the raw conversation at his home in Indy, without the intro, commercial breaks and music.